The Pacific Flyway is a “superhighway in the sky” that stretches 10,000 miles from the Arctic to Patagonia. Each year, over a billion birds travel the Flyway on their migrations. Along the way, they need stopover sites with suitable habitat and food. The Suisun Marsh provides a vital stopover for the migrating birds. The Pacific Flyway Center’s mission is to inspire conservation of the Flyway. 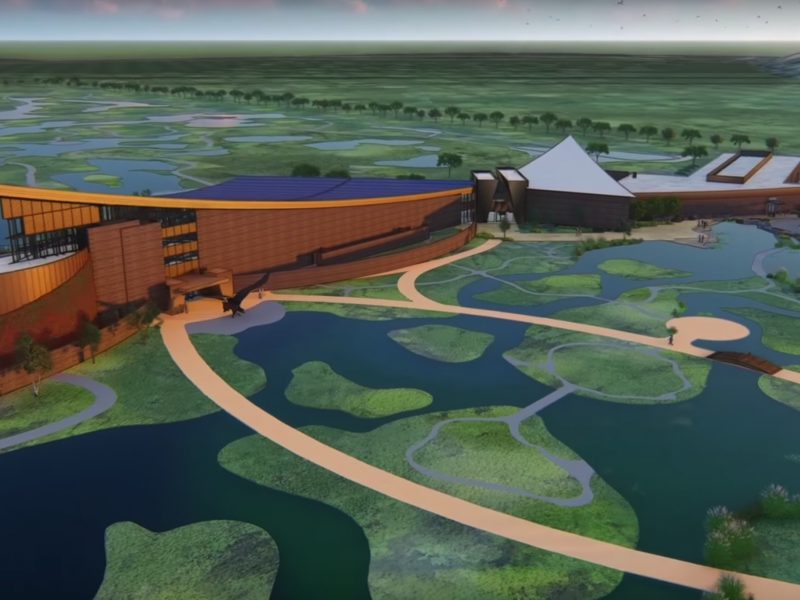 Located off Interstate 680, the center will highlight the Pacific Flyway and inspire wildlife conservation and land stewardship. The main building, a two-story structure with a form symbolic of wings of flights, will feature educational exhibits such as a Suisun Marsh tide model and tropical bird and butterfly aviaries, food and retail, event spaces, and a giant IMAX-style cinema for educational programs. Construction will be done in three phases over the next several years. The first phase will include the marsh walk, enhancements of the marsh and wetlands, and access roads. The marsh walk will remain open while the main buildings are constructed. The Pacific Flyway Center is the vision of Ken Hofmann, who made a significant commitment of funds and energy to the Pacific Flyway Fund. Additional funding will be provided by public, private, and matching dollars. The public is invited to an Open House July 24, 6-8 p.m. at Oakbrook Elementary School, 700 Oakbrook Drive, in Fairfield, to learn more about the project from its developers and community partners.